Dewi Griffiths moved top of the 2017 UK rankings with a fantastic debut at Frankfurt Marathon on Sunday (October 29). 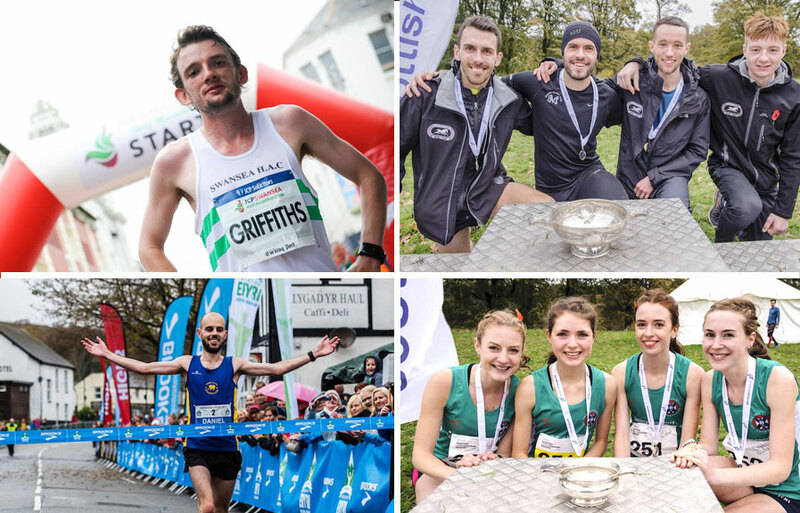 Back in the UK there was exciting racing at the Scottish National Cross Country Relays, Manchester University Cross Country Relays, Snowdonia Marathon and the Accrington 10K. 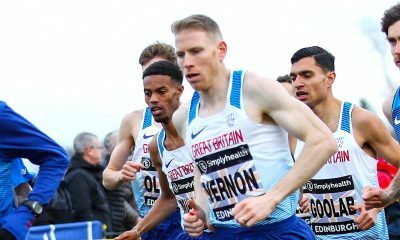 Dewi Griffiths produced a fantastic debut over 26.2 miles, clocking 2:09:49 to finish fifth overall and the first British athlete in Frankfurt. The Welshman’s performance catapults him to first in the UK ranking’s this year, number two on the Welsh all-time list and 15th on the UK all-time list. Serpentine athlete Nick Torry posted 2.17.37 to finish an impressive 20th, with Lee Merrien of Guernsey crossing the line in 2:20.25. While Ronny Richmond of Bideford AAC and Ollie Lockley of Manx Harriers ran 2:23:37 and 2:25:28 respectively. Tom Evans of Lewes will be disappointed with his 2:26.07 in Germany. In the women’s field, Rebecca Hilland was aiming to better her 2:39:45 personal best and after passing halfway in 78:01 Rebecca started to struggle, forcing a retirement from the race. Northern Irish athlete and Scottish Half Marathon champion, Fionnuala Ross had a tough day at the office finishing in 2:48:44. 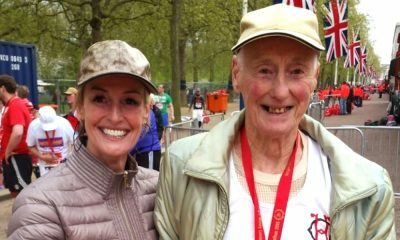 RELATED: A full in-depth report on the Frankfurt Marathon and more on Dewi Griffiths’ performance can be found here. 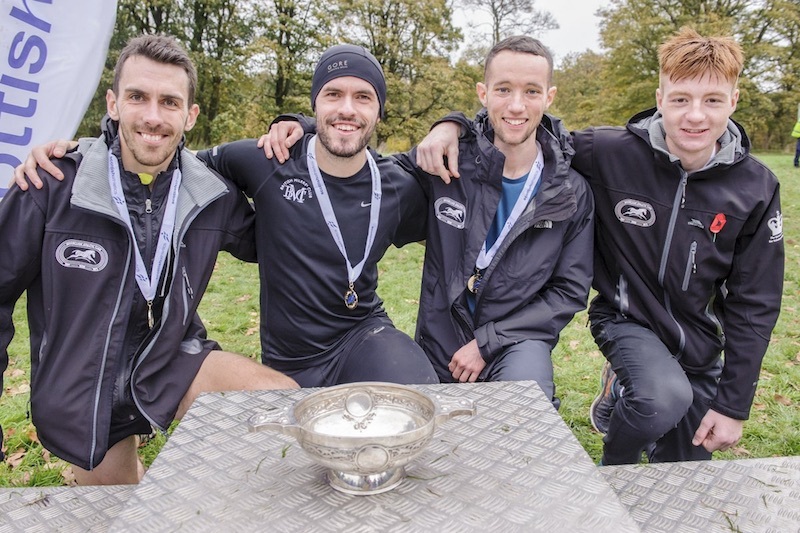 Cumbernauld Park once again staged the fiercely contested Scottish National Cross Country Relays. The event attracted not only some of Scotland’s best runners to compete but also spectate, with Derek Hawkins and Eilidh Doyle supporting on the sidelines. It was Inverclyde AC who won the Senior Men’s race. International mountain runner, Andrew Douglas got his club off to a great start, taking the win in the first leg. Inverclyde AC went on to take the title by 22 seconds. Jake Wightman, usually seen lapping the track and a representative at the World Championships this summer, was in attendance too and although he admits cross country is not his forte he finished second on leg 2 with 12.35 on a testing and muddy course. Aberdeen AAC was the second team over the line and Central AC completed the podium ahead of Shettleston Harriers and Corstorphine AAC. The fastest leg of the day was shared between two athletes with the same time of 12.09; Logan Rees of Fife AC and Lachlan Oates of Shettleston AC. Andrew Douglas was the next of the days overall fastest stages with 12:10. In the women’s field, Edinburgh University Hare and Hounds took the victory. The win came down to the final leg with Edinburgh’s Stephanie Pennycook battling to take over the lead from Central’s Kate Gallagher. By the finish, Pennycook had increased the gap to 36 seconds to lead her team over the line with a healthy advantage. The strong Central AC team held on to second, in front of Edinburgh AC another 33 seconds adrift. 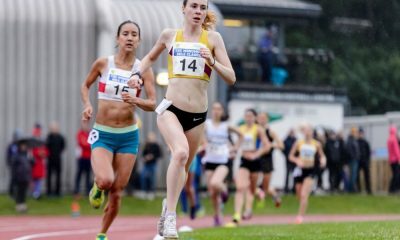 However, Lauren Stoddart of the Edinburgh AC team was being chased hard on the final stage by Elspeth Curran and just held on to the Bronze medal, six seconds ahead of Kilbarchan AAC. It was the Scottish international and previous GB representative, Morag Maclarty of Central AC who ran the fastest leg of the day, showing great form with a time of 13:51. Mhairi Maclennan of Edinburgh University Hare and Hounds was second with 14:01 and the third fastest with 14:04 was Jemma Reekie of Kilbarchan AAC. The small town of Llanberis in North Wales, known for its picturesque and mountainous terrain, staged the 35th edition of the Snowdonia Marathon on Saturday. Nestled at the foot of Wales’ highest mountain the route is never going to be an easy one and although run predominantly on the road it does involve 838 metres of ascent, with an average of 32 metres of climbing every mile! Daniel Jones of Team Bath AC took a brilliant victory in 2:36:54, followed by Matt Hobbs of Pudsey and Bramley AC in 2:42:34, six minutes faster than his 2016 time on the same course. In third place and also under the 2:45:00 for this testing route, was Paul Jones of Shrewsbury AC in 2:43:45. Hayley Munn was the only female to go under the three-hour mark with 2:57:25. The time was well within the 2016 Women’s record of 3:03:59 and was also very close to the long-standing race record of 2:56.43 held by June Cowper and set in 1988. Local athlete Andrea Rowlands of Eryri Harriers finished runner-up in another quick time on this course of 3:01:38, whilst Sarah Cumber of Halifax Harriers took the third spot with 3:13:43. The Manchester University Relays was well attended on Saturday afternoon. Usually known for its well-drained grass pitches the University fields instead provided more mud than normal. The conditions did not stop Birmingham University taking the win in the men’s race for the 11th consecutive year. 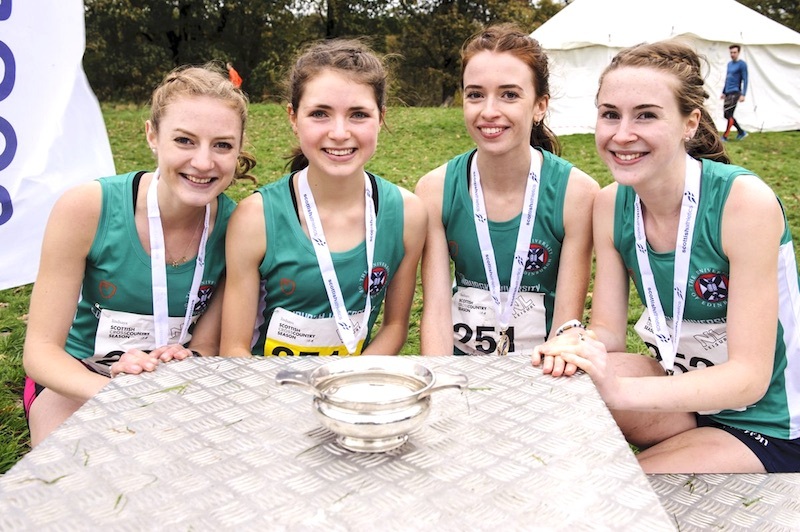 Leeds University were runners-up and Stockport Harriers took the bronze. Tom Lancashire of Bolton Harriers won the opening leg with a dominant display of front-running. In the women’s event, again it was Birmingham University who came away victorious. They took the win ahead of the teams from Leeds University and Sheffield University. Under blue skies, Altham Business Park staged the Accrington 10km in Lancashire. The winner was race favourite Ben Fish of Blackburn Harriers in a time of 32.46 over the undulating course. He finished ahead of Clayton le Moors Harrier’s Danny Collinge, replicating the same one-two as in last year’s event. Collinge ran 34.12 just in front of Trafford AC’s Jeff Prest in 34.14. In the women’s event, it was Pauline Powell, also of nearby Blackburn Harriers who won in a time of 37.40. Powell now a Vet 40 has great pedigree on the roads and has personal bests of 75.15 and 2:43.26 over the half marathon and marathon. 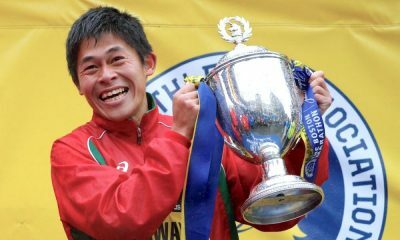 She is a previous winner of Edinburgh Marathon (2008), Wilmslow Half-Marathon (2006 and 2007) and Sale 10 mile (2004) to name but a few of her results. Carla Davies of Red Rose Road Runners finished in second position with 38.04 and in 3rd another Blackburn Harrier, Victoria Mousley running 39.46.